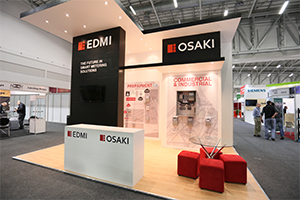 EDMI made its first African exhibition experience count by becoming a Silver sponsor for this year’s African Utility Week, one of the largest events of its type in the world. 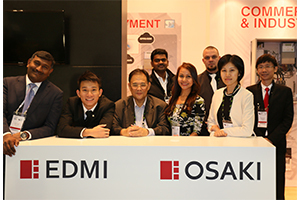 The May 13-14 exhibition engaged key industry stakeholders from all fields and brought EDMI branding to over 5,000 visitors from more than 56 countries. 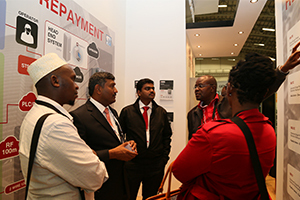 Chandra Prakash, VP Sales (Africa and Middle East) and his team welcomed special guests from Tanesco (Tanzania), with whom EDMI are engaged in a significant prepayment project. The project is EDMI’s first STS compliance prepayment project which includes our standalone prepayment meter, the Mk29D (more than 275,000 installed) and the Mk7C and Mk10D smart prepayment meters. 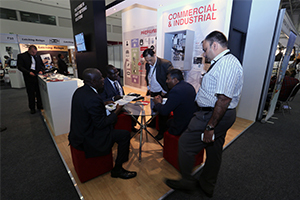 Tanesco were joined by ECG (Ghana), KPLC (Kenya), and many more clients and partners from various countries across Africa. The team were able to use the opportunities provided by the conference and the Tanzanian project to increase interest in other EDMI products and mark down another success in EDMI’s bid to further increase its presence as the preferred Smart Energy Solution Provider in Africa. Click here to watch the video to learn more.